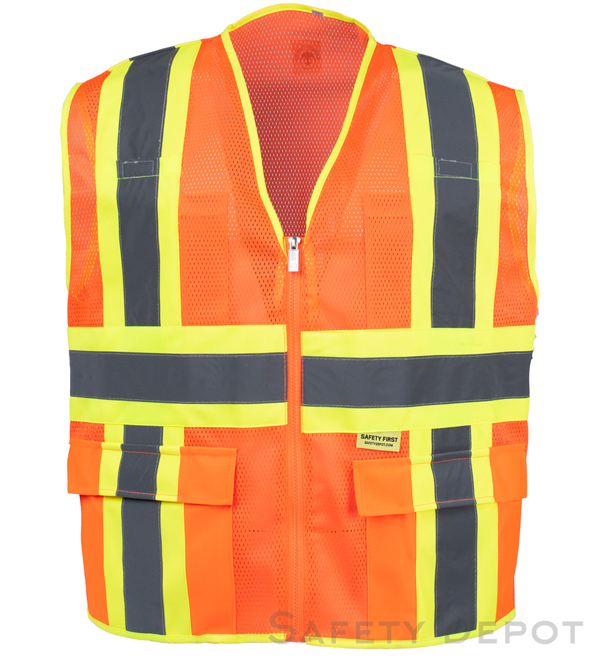 Engineering quality material for Hi visibility ANSI Class 2 safety vest featuring multiple pockets with 4 inch wide tape combined with 2 inch reflective stripes for two tone safety and visibility. Proven quality and reliability with multiple washings and ample space to allow personalization with your logo or company name. From Marcia Watterson of Rancho Cucamonga, California on 3/27/2017 . We are very happy with this vest and will be giving these to all of team members. From Anonymous of lodi, California on 1/20/2016 . From Anonymous of Lansing, Michigan on 9/14/2015 . This is the third or fourth one I've had. Great vest with lots of pockets.